Brow guru to the A-list, Amy Jean Linnehan has built an “eye styling” empire Australia-wide, with salons in Sydney, Melbourne, Perth, Brisbane and at the Palazzo Versace on The Gold Coast. 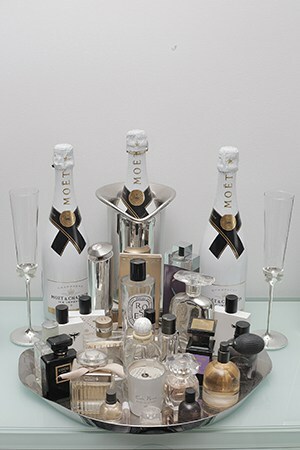 She also has an eponymous line of products and a devoted social media following. With her perfectly-coiffed platinum mane and honey tan she looks every bit the beauty entrepreneur - she’s also upbeat and refreshingly real. 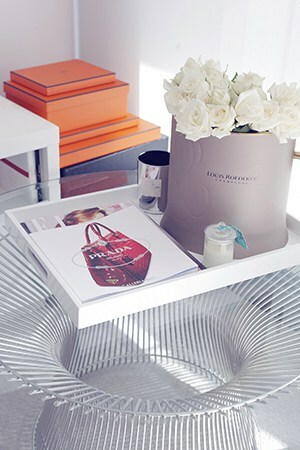 AJ invited us into her girly pad in Sydney’s Rushcutter’s Bay and served us up a dose of her practical beauty wisdom. I associate this with laziness. I think you should pull up your sleeves and put your best face forward if you’re in the industry. I always do my best to appear as hydrated and radiant as possible. I believe the true art of applying makeup is to take as long as you need but for it to look as though you haven’t spent very long at all. Although, beauty is not just about aesthetics, it’s your health, the happiness in your heart, your temple. Your surroundings are a refection of your priorities in life. 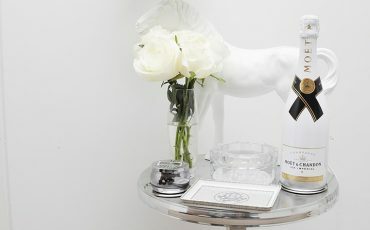 Starts with splashing my face with water to wake up a few drops of refresh eye-drops to brighten the whites of my eyes. I apply La Prairie Toner then Dr Spiller Collagen Cream. This is my go to product. I feel hydrated and my glow is on super-charge after applying it to my face, neck and décolletage. I apply Priori Lash Growth Serum religiously. but most of this time is dedicated to styling my eyes – of course. I swear by Giorgio Armani Luminous Silk Foundation paired with a pump of the liquid luminizer. Once I’ve finished my makeup I use Model Co Tan Airbrush in a Can to spray lightly across my face at a distance for a sun-kissed glow. I used to spend at least 5-10 minutes designing my eyebrows alone but since I had our in-house “Feather-Stroke Tattoo” service done to my eyebrows I simply apply some brow powder over the top and they’re done in less than one minute. I apply a dewy concealer right up to and around the entire brow area. I then add a dab of Georgio Armani Fluid Sheer across the brow bone to give radiance to the eye. Then I apply my Eyebrow Velvet in a boxy outline around the brow and then fill in the gaps with light strokes. This makes the brow appear “fluffy” and life like rather than a harsh “drawn-on” look. I press my blush onto the skin rather than paint it on in a stripe in a powder form with a brush. You tend to look more glowy and fresh with creamy textures. I believe in specialists across the board. I do eyebrows for people, my dentist does my teeth therefore my hairdresser (Juny Kim at Sheraton On The Park) should do my hair. Dry shampoo is my best friend. I carry a mini bottle in my handbag. Another hair product I swear by is Wella SP Luxe Oil Light Oil Keratin Protection Spray. I spray a little on as I walk out the door for some instant gloss. It doesn’t way down the hair – it just adds radiance. under the guidance of Dr William Mooney. They use Dr Spiller products that are manufactured in Germany. When I travel, I change my skincare brand to Ultra-Ceuticals. It’s very active, and I like to shock my skin every now and then so it doesn’t become immune to one particular brand. I also love our in-house lash treatment in the AJ salons, the Lash Lift. It’s an instant root booster for your lashes that lasts a genuine 8 weeks. There are no extensions or maintenance required and it really does give “life” and a ”lift” to the eyes. 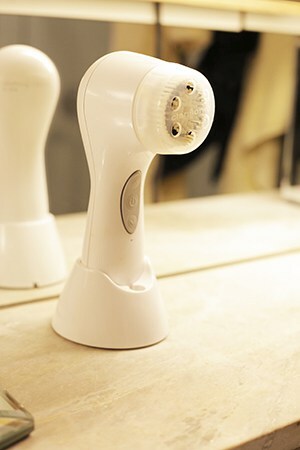 At night I can’t wait to cleanse my make-up off so I can get stuck into my new obsession, the Clarisonic. My skin has never felt so silky smooth. I feel like when ever I moisturise and do a mask, the skin has a better chance of absorbing the product if the excess dry skin is sloughed away first. My skin is so fair naturally and I can’t tan for peanuts. It’s the curse of being a natural redhead – the Irish blood I guess! I can’t get a tan without a spray tan, so I’ve never sat out on the beach frying because it would simply be a waste of time. but ballet tore every ounce of fat off me. I started to get super crappy when all the girls were getting sideways looks from blokes and I still didn’t have half a chest! When I eased off the balled and went off to boarding school, all of the sudden I started to feel more feminine and real, because I was eating around the clock. I’m now pro-active with exercise I go 5-6 times a week with my boyfriend – he’s a daily gym-junkie. I do a “body combat” class a PT session with the Christian Miranda from ONE PT Solutionsoutdoors. I’m ashamed to admit. – I need 2-3 rounds of caffeine before 11am. I also take Swisse Women’s Multi Vitamin as well as B and E daily. I never follow diets and I don’t get along with people who are loud and proud about counting calories. Life is too short…just enjoy it and then get on the treadmill for goodness sakes! I grew up doing classical ballet, so false eyelash application and winged eyeliner was mastered before I hit my teens. I attended every beauty course imaginable straight out of school, but my true passion was the art of a well-designed eyebrow. Once I started my own business I began to investigate how I could add branches to the concept of a business dedicated to brows. Lash treatments seemed like an obvious addition. I’m continually researching emerging trends, products and services overseas to ensure I’m across everything that comes under the expectation of being an “eye stylist”. Story by Sigourney Cantelo; Photography by Titus Pengelly; Makeup by Becca Gilmartin; Hair by Paloma at Oscar Oscar Salon. Thanks for another great read! Picked up a few little tips along the way too. 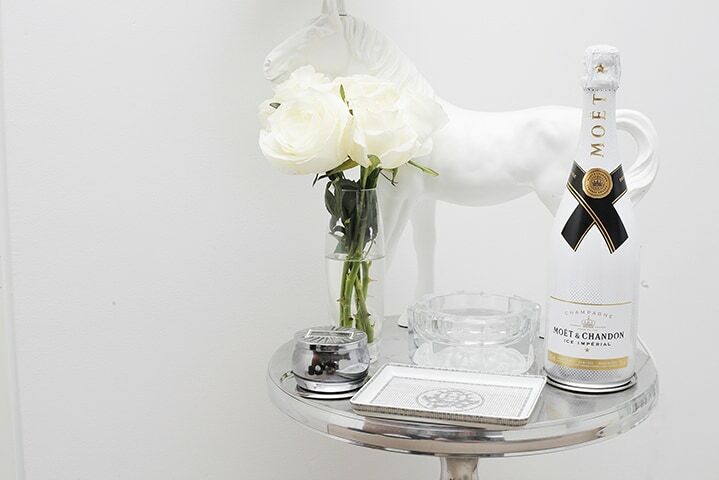 Your home decor is simply perfection Amy and I think we share the same taste in fragrances too.